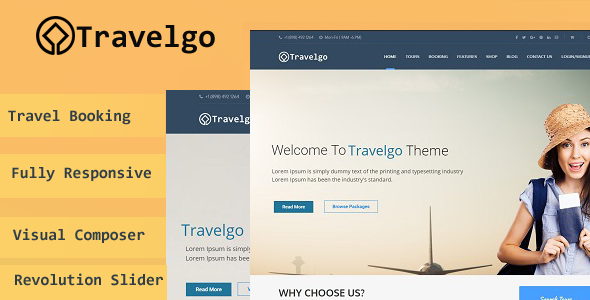 Travelgo is a WordPress theme developed for travel agencies and tour operators of any size. It offers a lot of flexibility and possibilities in setting up tours. You can indicate as many tour attributes as you like. These attributes can later be used for setting up a search form. Tour rating system allows your customers to rate the tours.